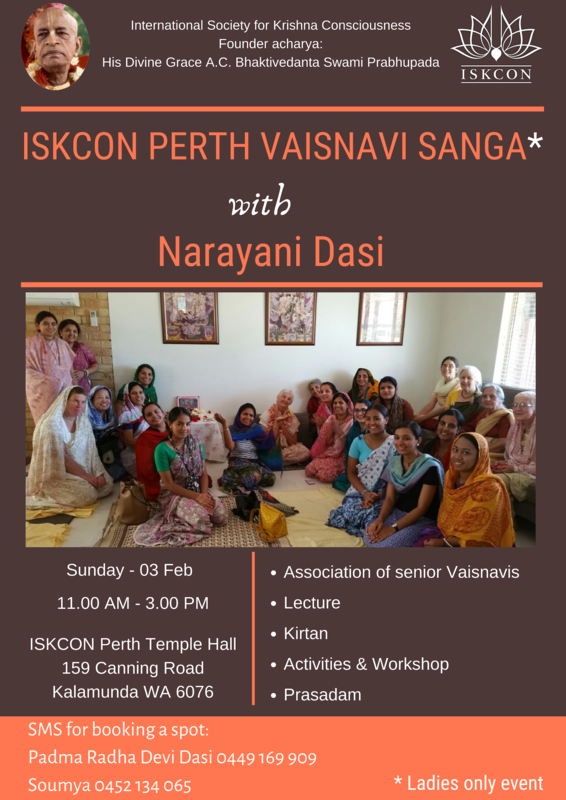 We are very happy to invite you for ISKCON Perth Vaisnavi Sanga – a ladies only event on February 3rd, 11 AM – 3 PM. 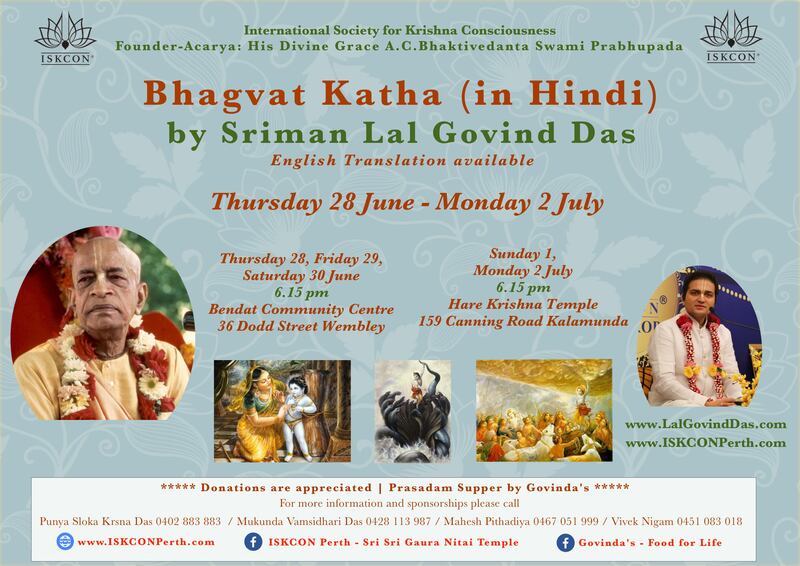 HG Narayani Dasi will be joining us for this event. 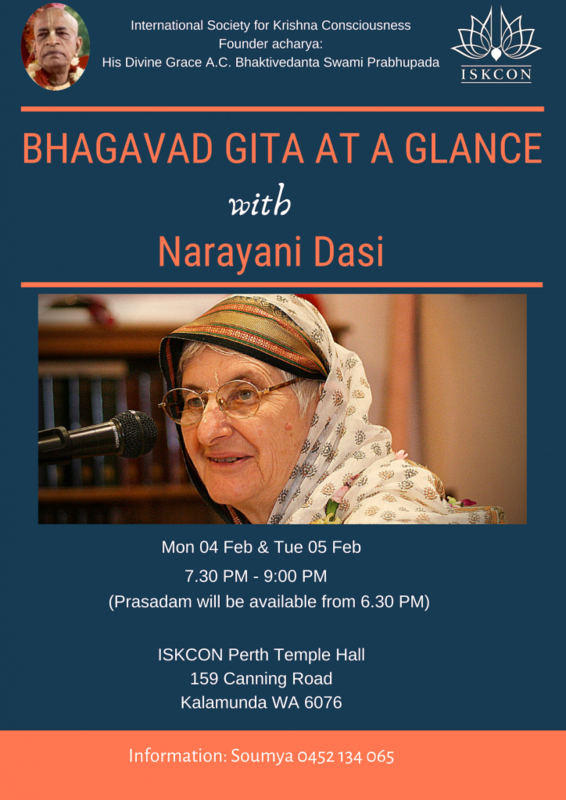 She is a long time resident of Vrindavan, and has been practicing Krishna Consciousness for almost 5 decades. 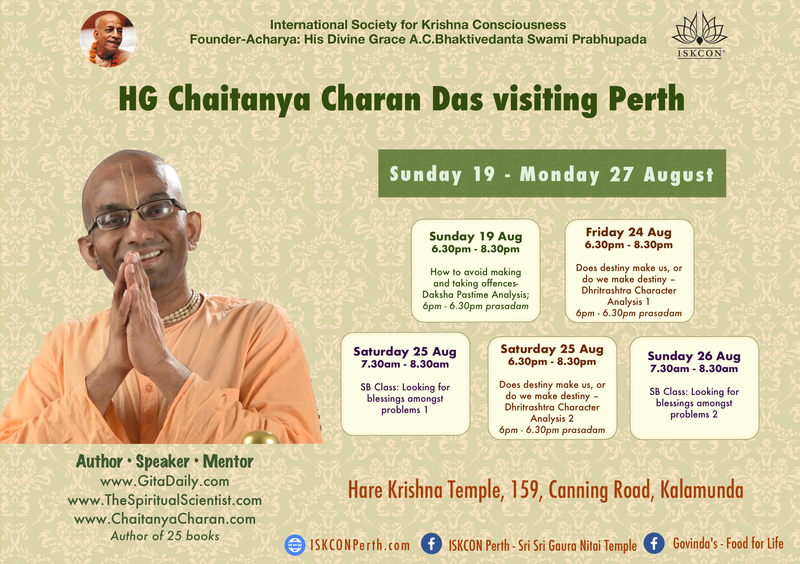 She is an expert in guiding devotees and helping them on their journey, and especially how to balance spiritual life while still continuing our household duties. Program highlights include lecture, kirtan, workshop, and prasadam. Please note this event is for ladies only.